Karat is a unit of measure indicating the fineness of gold. Most gold jewelry contains gold and another metal, making it an alloy. 10 karat gold is 41.7% pure gold. Karat is a unit of measure indicating the fineness of gold. Most gold jewelry contains gold and another metal, making it an alloy. 12 karat gold is 50% pure gold. Karat is a unit of measure indicating the fineness of gold. Most gold jewelry contains gold and another metal, making it an alloy. 14 karat gold is 58.3% pure gold and is often preferred in jewelry for its durability. Karat is a unit of measure indicating the fineness of gold. Most gold jewelry contains gold and another metal, making it an alloy. 18 karat gold is 75% pure gold and is often preferred in jewelry for its beauty and durability. Karat is a unit of measure indicating the fineness of gold. 24 karat is 100% pure gold and is too soft for most jewelry. Abalone is a mollusk with a pearly shell that is often used in jewelry. Adamantine, meaning “diamond-like luster and hardness,” is derived from the Greek word adamas (invincible) for diamonds. Adularescence is the billowing shimmer of light floating across the surface of a moonstone. Agate is a quartz crystal and a sub-variety of chalcedony. It is found in a wide range of pale colors including green, yellow, red, reddish-brown, white and bluish white. On Mohs’ scale of hardness, agate is 6.5-7. It has a waxy or dull luster and primary sources include South of Brazil (Rio Grande do Sul), north of Uruguay, Australia (Queensland), China, India, the Caucasus, Madagascar, Mexico, Mongolia, Namibia, Wyoming, and Montana. Alexandrite is a highly prized variety of chrysoberyl. In the daylight it appears grassy green and in tungsten light it appears raspberry red. On Mohs’ scale of hardness, alexandrite is 8.5. It has a strong vitreous luster and primary sources include Sri Lanka, Zimbabwe, and Brazil (Minas Gerais). An alloy is a compound made up of two or more metals. Almandite is a variety of garnet. It is usually found in a violet red hue. On Mohs’ scale of hardness, almandite is 7.5. It has a vitreous luster and primary sources include Brazil, India, Madagascar, Sri Lanka and the United States. Amber is a fossilized, organic mixture of pine resins, acids and volatile oils dating back at least 30 million years. It comes from the tree sap of the pine trees, pinus succinifera. It is predominantly found in yellow and brown colors. On Mohs’ scale of hardness, amber is 2-2.5. It has a vitreous luster and a resinous luster when polished. Its primary sources include Russia (Kaliningrad), Sicily/Italy (called Simetite), Rumania (called Rumanite), Burma (Myanmar – called Burmite), China, the Dominican Republic, Japan, Canada, Mexico, Alaska and New Jersey. Amethyst is the most highly valued gemstone in the quartz family. It is found in a range of colors from violet to pale red-violet. On Mohs’ scale of hardness, amethyst is 7. Its primary sources include Brazil (Rio Granda, Para), Madagascar, Zambia, Uruguay, Burma (Myanmar), India, Canada, Mexico, Namibia, Russia, Sri Lanka and the United States (Arizona). Ametrine is a quartz crystal that contains amethyst and citrine. It is a bi-color gemstone including the violet of amethyst and the yellow of citrine. On Mohs’ scale of hardness, ametrine is 7. It is primarily found in Bolivia. Amorphous is an adjective meaning shapeless or lacking crystal structure. Andalusite is a naturally occurring pleochroic gemstone. As the stone is rotated, different colors and different intensities of colors can appear including olive green, rich reddish brown or grayish green. On Mohs’ scale of hardness, andalusite is 7-7.5. It has a vitreous or mat luster and primary sources include Australia, Brazil, Canada, Russia, Spain (Andalusia), Sri Lanka and the United States. Apatite is a naturally occurring beautiful gemstone. While it is known for its asparagus green hues, apatite actually can be found in a wide variety of colors ranging from colorless to pink, yellow, blue and violet. On Mohs’ scale of hardness, apatite is a soft 5. It has a vitreous luster and primary sources include Burma (Myanmar), Brazil, India, Kenya, Madagascar, Mexico, Norway, Sri Lanka, South Africa and the United States. Aquamarine is a member of the beryl family. It is known for its clear sky-blue color but is also found in a range of dark blues to blue-greens. On Mohs’ scale of hardness, aquamarine is 7.5-8. Its primary sources include Brazil, Russia (the Urals), Australia (Queensland), Burma (Myanmar), China, India, Kenya, Madagascar, Mozambique, Namibia, Nigeria, Zambia, Zimbabwe and the United States. The Art Deco style features geometric patterns and vibrant colors. It flourished in the 1920s and 1930s, synthesizing a variety of influences such as ancient Egyptian and Mediterranean culture with modern technology. Four-rayed or six-rayed bands (cat’s eye) caused by light reflecting from needle-like inclusions within some gem crystals. Aventurine Feldspar is another name for Sunstone. A metal attachment used for hanging a pendant from a chain or cord. A rigid bracelet that slips over the wrist. Also known as a bar and clasp, this is a bar-shaped fastener that inserts into a catch with a pin. These distinctive pearls are found in unusual, intriguing shapes that lend themselves to uniquely designed pieces of jewelry. Used to connect two ends of a chain, the barrel catch has two halves that screw together, forming the shape of a barrel. A base metal is any non-precious metal such as copper, zinc and manganese. This fancy setting exhibits a lacy, basket-like appearance through multiple holes pierced in the side. A bead is a gemstone, usually round, with a hole pierced through it so that it can be strung. Beveled refers to a surface cut at an angle that is less than 90 degrees. Watch bezels are commonly bevelled. A bezel is a narrow piece of metal used to hold a gem in place on a piece of jewelry. A bezel is also the part of the watch surrounding the crystal on a watch face. Bezels may or may not contain gems and may or may not be textured. The bezel also holds the crystal in place. The fascination with birthstones is almost as old as civilization. Originating in ancient India, modern jewelers have simplified and popularized this chart in the West. From the Black Hills of South Dakota, this jewelry style blends yellow, rose and green golds in a grape leaf-inspired design. Black onyx is neither onyx nor black. It is actually dyed chalcedony. According to some experts, “Black onyx is produced by boiling slabs of grayish chalcedony in a solution of sugar which enters the pores between the submicrocrystallites.” The dye is stable and requires no special care. A blemish is a nick, scratch or any other flaw on the stone surface. A blister pearl is a pearl that forms attached to the shell. From the chalcedony family, this green stone has red spots that look like blood. Boulder opal is a member of the opal family. It has a dark base surface with an exciting play of color. On Mohs’ scale of hardness, boulder opal is 1.98-2.50. Its primary sources include Australia, Brazil, Guatemala, Honduras, Indonesia, Japan, Mexico, Russia, Nevada, and Idaho. Used to connect two ends of a chain, this clasp incorporates a box with a notch on one end and a metal spring that slips into the box and locks. The links on a box chain form wide and square boxes. A matching set of rings that include an engagement ring and a wedding band. The style of cutting a stone with multiple facets in a particular way designed to maximize brilliance. Modern round brilliant cuts have 58 facets. A tear or pear shaped stone cut in triangular facets. Designed to be worn on clothing, this ornamental piece of jewelry attaches with a pin and clasp. A textured (satin) finish made from tiny parallel lines etched on the metal surface. Resembling a buttercup flower, this deep setting has six prongs that flare out from a scalloped shaped base. These earrings look like buttons, laying flat with no dangling parts. A Byzantine chain consists of oval links forming an intricate tubular chain. Round uniform links join to form this standard style chain. A highly polished, unfaceted gemstone cut into the shape of a small dome. This is one of the most common minerals on the face of the earth and is found in calcite, aragonite and vaterite. Thousands of microscopic calcite and aragonite crystals form the layers of nacre forming a pearl. Carat describes the actual weight of a stone—not the size. If you think in terms of grams, 1 gram is equal to 5 carats. This metric equivalency provides a level of uniformity anywhere in the world. A casting is a jewelry setting created using a mold. A term that describes the sharply reflected play of light on certain round gems such as chrysoberyl and some chalcedony that appears similar to the slits in a cat’s eye. The center stone is the prominent center piece in a setting. Chalcedony represents a family of fine-grained quartz crystals including agate, chyrsoprase, bloodstone, jasper, carnelian, moss agate, onyx and sard. There is also a bluish-white-gray variety known as chalcedony. On Mohs’ scale of hardness, chalcedonies are 6.5 – 7. In their natural state, they have a waxy or dull luster. For source information, see specific stones. This type of setting holds a number of gemstones side by side in a grooved channel. Each stone is not secured individually and there is no metal visible between stones. A charm bracelet designed to hold charms that was particularly popular in the 1960s. Chatoyancy is the appearance of a shimmering light that moves across the surface of certain stones and appears as a narrow line similar to a cat’s eye. This effect is most noticeable on a cabochon cut stone. Often found in heraldry, this design is made up of short lines forming an inverted “V” pattern. Chrysoberyl is a mineral that produces gemstones ranging from golden-yellow to green-yellow, green, brownish and red. Two prized chrysoberyl gemstones include alexandrite and chrysoberyl cat’s eye. On Mohs’ scale of hardness, it is 8.5, making chrysoberyl among the hardest gemstones. Sources include Brazil, Sri Lanka, Burma (Myanmar), Russia (Urals), Zimbabwe and the United States. Chrysoberyl cat’s eye is a highly prized gemstone in the chrysoberyl family. The shortened term “cat’s eye” always refers to chrysoberyl cat’s eye. When cut in a cabochon or dome style, it displays fine, parallel lines of moving light rays that appear similar to the pupil of a cat. On Mohs’ scale of hardness, it is fairly hard at 8.5. Primary sources include Sri Lanka and Brazil as well as China, India, and Zimbabwe. Chrysoprase is the name for apple-green chalcedony. A cigar band ring is the term used to describe a ring with a wide band. Citrine is a quartz crystal. While its name refers to a lemon yellow color, citrine can be found in a range of yellows from light yellow to dark yellow and golden brown. On Mohs’ scale of hardness, citrine is 7. Sources include Brazil, Madagascar, the United States, Argentina, Burma (Myanmar), Namibia, Russia, Scotland and Spain. This is a unique design with two hands clasping a heart topped by a crown. The design is over 300 years old and used to symbolize faith, trust and loyalty. Clarity grading for diamonds is determined by the location, type and extent of inclusions or blemishes present in or on any stone. A clasp is an adjustable catch, bent plate or hook that connects two ends of a piece of jewelry. Clasps may be simple or ornate. Among gemstones, cleavage refers to the act of splitting or the tendency to break parallel to certain flat planes. Cleavage is rarely entirely on one level but can have a step like appearance. A gem’s cleavage can be easy or difficult and can range from perfect to imperfect, depending on the cohesive properties of atoms in the gemstone and the strength of those bonds based on direction of growth. Some gemstones such as quartz have no cleavage. Multiple stones grouped together in a jewelry setting. This type of setting is used for cluster rings, cluster pendants and cluster earrings. An attachment used to secure a piece of jewelry such as an earring back. This large, oversized ring set with gemstones was highly popular in the 1940s and 1950s. A coin style edge is a ridged edge on jewelry similar to the look of the edge of a coin. At 12 to 23 inches, this necklace style fits tightly around the neck and sometimes has several strands. Color (or the absence of color) is one of the most noticeable characteristics of a diamond. Color grading, using the GIA scale, ranges from D to Z, with D being colorless and Z being heavily (usually yellow) colored. Colorless stones (designated D, E, and F) command the highest prices. Color is the one of the most important characteristics in appreciating gemstone. Color in gemstones is described by hue, saturation and tone. Color change gems change color due in changing light conditions (Alexandrite) or from different angles (Andalusite). Also known as fancy diamonds, this refers to all diamonds that are not white. A ring designed with a rounded interior finish, providing long term comfort for the wearer. “Curving outward” like the surface of a sphere. Corundum is a gem mineral composed of gas oxygen and light metal aluminum. The two most valuable corundum include Ruby and Sapphire. Due to its hardness, brilliance and variety, some experts consider corundum to be the most important and most versatile of the gem families. Cubic Zirconia (CZ) is a lab created diamond simulant. While CZ is a transparent stone, trace elements can be added to the manufacturing process, producing a wide range of colors. On Mohs’ scale of hardness scale, CZ is harder than other gemstones except for diamond, ruby, sapphire and chrysoberyl. Some of the most popular CZs are manufactured in Russia. This chain is made up of oval links that lie flat. Danburite is a lesser known gemstone originally discovered in Danbury, Connecticut. It is found in colors of wine-yellow, brown and even pink. On Mohs’ scale of hardness, danburite is 7-7.5. It has a vitreous or greasy luster and sources include Burma (Myanmar), Japan, Madagascar, Mexico, Russia and Connecticut. Also known as drop earrings, this style hangs below the earlobe. Abstract designs and linear, geometric patterns influenced by the famous Art Deco movement. Demantoid is a highly valued andradite garnet. It exhibits a range of greens from dull to bright emerald green and on rare occasions displays yellow. On Mohs’ scale of hardness, demantoid is relatively soft at 6.5. It has an adamantine luster and sources include China, Korea, Russia, the United States, and Zaire. Also known as half-hoop design, this earring looks like its name forming only half a circle. Depth is the measure of a diamond determined by measure of culet to table. The fire and brilliance of a diamond is based on the depth percentage and table percentage, which equals diamond height divided by diamond width. For a lovely round cut stone, the depth percentage should normally range between 58 and 64 percent. Diamond is crystallized carbon, the only gem composed of a single element. The most popular diamonds are traditionally colorless, but they can also be found in yellow and brown colors. Although much rarer, diamonds known as “fancies” also come in blue, red, pink, green, orange and black. On Mohs’ scale of hardness, diamond is the world’s hardest substance at 10. It has a very strong luster and primary sources include South Africa, Namibia, Australia, Botswana, Russia, Zaire, Brazil, Ghana, Angola and Central African Republic. Diamond accents are small diamonds used in jewelry settings with a combined carat weight of less than one fourth of a carat. Also known as “Brilliant cut,” the style of cutting a stone with multiple facets to maximize brilliance. Modern round brilliant cuts have 58 facets. Diamond cut can also refer to the flat diamond shape in other objects such as necklaces. This is a chain made of flat diamond-shaped links. This newcomer to gemstone treatments alters the color of stones through a combination of chemical exposure and long-term heat treatment. The stones begin as colorless or extremely pale and are transformed into vibrant colors. Primarily a surface treatment, wearers should be cautious not to chip stones because the inside of the stone remains colorless. The main distinction between surface diffusion and deep diffusion is the level of penetration, but both are still essentially surface treatments. Diopside is from the pyrozene mineral group. Known for its pure green color, it also can be found in chrome, violet-blue, black, yellow, brown and colorless. It has perfect cleavage and on Mohs’ scale of hardness, diopside is 5-6. Sources include Burma (Myanmar), Finland, India, Madagascar, Austria, Sri Lanka, South Africa and the United States. A disc earring is a round flat earring attached to an earlobe. Also known as “fire,” dispersion refers to the separation of white light into spectral colors in diamonds and finished gemstones. This convex shape is thickest in the center and tapers at the edges. This hinged bottom earrings hangs below the earlobe. Also known as dangle earrings, this style hangs below the earlobe. Assembled opals combine natural opal with other materials. A doublet contains a slice of opal glued to common opal, glass or other material. A triplet contains a slice of opal glued between a base and a crystal or a glass top. Triplets are usually less expensive than doublets, and both are less expensive than natural opals. Druse is an unusually beautiful crust of small crystals on the surface of a rock or mineral. An earring back is a disk or bead that attaches to an earring post to secure the earring in place. This earring piece is designed with a hole, allowing a stud earring to hold it in place. This process utilizes a chemical solution and an electric current to cover a base metal with a thin film of gold. Emerald is the most precious member of the Beryl family. It exhibits an incomparable pure green hue but can also be found in a yellowish-green hue. On Mohs’ scale of hardness, emerald is 7.5-8. It has a vitreous luster and sources include Columbia, Zimbabwe, South Africa, Russia (Urals), Afghanistan, Australia (New South Wales, Western Australia), Ghana, India, Madagascar, Malawi, Mozambique, Namibia, Nigeria, Pakistan, Zambia, Tanzania and the United States (North Carolina). Exhibiting a glassy decorative surface, enamel is powdered colored glass that has been fused to metal, pottery or glass. A pattern or design cut or carved into a jewelry piece using an engraving tool. A resin used in strong adhesives and enamels. A decoration or design lightly scratched onto the surface of a jewelry piece. An eternity ring is a ring with gemstones encircling the band. Eye clean refers to a stone that appears to have no visible inclusions or imperfections to the naked eye. A facet is the flat, polished surface applied to the exterior of a gemstone. The shapes, sizes, numbers, angles, and placement of facets are the key to unlocking the beauty of any gemstone. A gemstone with multiple facets captures the light and enhances the reflected light. Gem cut in any shape other than the standard round cut. Feldspar refers to a group of minerals that play an important role in the formation of rocks: popular varieties include moonstone and sunstone. A chain with alternating long and round links that is similar in style to the curb link chain. This safety catch is a hinged wire in the shape of a figure eight. Fine wire shaped into intricate, intertwined patterns used in jewelry as an open design or soldered to a metal base. Finish refers to the surface of a gemstone or piece of jewelry. On stones, it indicates a polished, well cut stone; on jewelry it can describe the texture as well as polish including high polish, matte or brushed. Also known as “dispersion,” fire refers to the flashes of color appearing in many gemstones as white light is separated into spectral colors (red, orange, yellow, green, blue and violet). A fissure is a surface crack on a gemstone. This royal insignia of France is an iris with three petals, and is often used as a decoration in jewelry. This surface finish pattern includes a series of engraved parallel lines crossed lightly by perpendicular lines. Fluorescence, a fascinating natural phenomenon, is the tendency of some gemstones to reflect a distinct color when exposed to ultraviolet light. Perfect for collectors and museums, fluorite (fluorspar) is a beautiful but soft stone (Mohs’ scale rating of 4) that comes in a wide range of colors. This design motif features rounded grooves in the surface of the piece. A type of hinged clasp used on necklaces and bracelets. Organic remains from an ancient geologic period, such as a insects, skeletons or even plants that become preserved over time and hardened into a stone-like substance. An intricate chain including three rows of links braded together. This refers to a stone enhancement method filling in tiny fractures. Fillers include glass, plastic, polymer, resins and oils. For example, emeralds commonly have wax and resins incorporated into fissures to improve appearance. A fracture is a crack against the flat planes or irregular surfaces of a gemstone. A fracture can be characterized as conchoidal (shell-like), uneven, smooth, fibrous, splintery or grainy. Perfect for non-pierced ears, this earring attachment uses a spring clip with padding to hold the earring in place against the back of ear. Primarily used for dangling earrings this curved wire passes through the pierced ear and closes with a catch. A pearl produced by a mollusk found in fresh water lakes and rivers. Gallery describes stamped or patterned wire or strips with a repeated design that is sometimes inspired by antiquity. There are two types of gallery: open (upstanding parts on one side that can shape around a stone) and closed (used in borders). Garnet is a group of colored minerals with a common crystal structure and similar (but not exact) chemical composition. The main garnet groups include pyrope, almandite, spessartite, grossularite, andradite and uvarovite. On Mohs’ scale of hardness, garnet is 6.5-7.5. This wide-ranging family of gemstones covers virtually color and is found all around the world. Most gemstones are actually mineral crystals (except for non-mineral gems like pearls, coral and amber). Mineral crystals form through a naturally occurring combination of chemicals, heat and/or pressure. These chemicals affect the shapes and colors of the crystals. Most mineral crystals are tiny, but a few can be cut into gemstones of rare beauty. The three chief characteristics that qualify a mineral crystal as a gemstone and help determine its value are durability, beauty and rarity. Golden Beryl is from the Beryl family of gemstones. It exhibits a range of yellow from lemon-yellow to golden-yellow. On Mohs’ scale of hardness, golden beryl is 7.5-8. It has a vitreous luster and primary sources include Brazil, Madagascar, Namibia, Nigeria, Zimbabwe and Sri Lanka. Gold filled refers to the mechanical process of applying two thin gold sheets to core metal such as nickel. To qualify as “gold filled” the amount of gold must be at least 1/20 of the total weight. Gold plated refers to an item with a layer at least 10 karat gold bonded to a base metal. Jewelry finished with a gold color. The colors of yellow beryl range from pale lemon to rich gold. Beryl with lush golden hues is sometimes referred to as heliodor. Jewelry with no actual gold content but finished with a gold look. The metal weight of a jewelry piece measured in grams. Goshenite stones are colorless gemstones from the Beryl family. On Mohs’ scale of hardness, goshenite is 7.5-8. It has a vitreous luster and primary sources include Massachusetts (Goshen), Brazil, China, Canada, Mexico, Russia and the United States. This design dating back to ancient Greece, features repetitive, interlocking rectangles. (See image). Green gold is not a naturally occuring phenomena. The green “color” is produced by mixing 24 karat gold with a blend of silver, copper and zinc. A long row or channel cut formed in a line on a jewelry piece. Grossular gemstones are a species within the Garnet family. This species includes several significant gem varieties such as hessonite, tsavorite, leuco garnet, and hydrogrossular. On Mohs’ scale of hardness, it is 3.57 – 3.73. For color and sources, see individual gemstones. Fastening to a clasp on a bracelet or wristwatch band, the guard chain keeps charms or ornaments safe from falling in case the clasp accidentally comes undone. Also known as demi-hoop design, this earring looks like its name, forming only half a circle. A dimpled surface treatment created by a small hammer. Head refers to the prongs that hold a stone in place on a setting. The shape on the face of a ring is determined by the shape of the gemstone set in it. Head size range is the range of carat weight that a ring can mount in one specific head. Heating is an ancient and normally stable enhancement that permanently transforms gems. Gemologists use low, medium and high temperatures in furnaces to alter gemstone color, clarity and phenomena. Nearly all of the world’s ruby, sapphire and tanzanite owe their color and clarity to heating. Many aquamarines are also heated to eliminate traces of green and gray. For a list of stone treatments, frequency and stability of treatments, and care instructions, visit our Gemstone Enhancements and Treatments chart. Literally meaning, “shell,” heishi (hee shee) is considered the most ancient jewelry form of New Mexico and is linked to the Santo Domingo and San Felipe Pueblo Indians. Heishi originally referred to pieces of shell exquisitely crafted and strung on necklaces. Now it may also refer to small hand-made beads of other materials. A herringbone chain has small, slanted links that join to form a flat chain. Hessonite is a brown red variety of garnet. This stylish design hides a box clasp under the last link of the chain. Mirror-like finish of a highly polished piece of jewelry. This refers to an earring in the shape of a hoop. Hue is one of three characteristics used to describe the appearance of color. Hue is the dominant wavelength of color attributed to a particular stone. This bracelet, with a curved plate, displays the name or initials of the wearer. Deep within the earth’s inferno is a stew of molten rock and gases, called magma. As magma wells up within the earth, intense pressure forces the liquid rock toward the earth’s surface. It is referred to as lava when it breaks through the surface. Lava slowly cools forming igneous rocks, and within these rocks and gas-bubble spaces, interlocking crystals grow. The minerals present, the cooling time and the environment will all play a role in the way these crystals form. Examples of gemstones found in igneous rock: diamonds, topaz, kunzite and spinel. Also known as Florentine Mosaic, Intarsia is an art form created by cutting various gemstones together in a pattern. It originally referred to inlay of wood veneers, ivory, or metal into a wood ground. Iolite is a gemstone with a slight variability in chemical composition between stones. It exhibits a blue-to-violet range of colors and sometimes shows a brownish streak. On Mohs’ scale of hardness, iolite is 7-7.5. It has a greasy luster and primary sources include Burma (Myanmar), Brazil, India, Madagascar, Sri Lanka and the United States. A rainbow range of colors reflected from the surface of a gemstone. A gemstone enhancement process, irradiation uses high energy, sometimes followed by heating, to alter gemstone color. Diamonds are sometimes irradiated to produce or enhance various colors. Other gemstones may also be treated using this method. For a list of stone treatments, frequency and stability of treatments, and care instructions, visit our Gemstone Enhancements and Treatments chart. Key to the formation of pearls, an irritant is any intruder such as a parasite or particle that gets inside a mollusk’s shell. The mollusk produces a secretion known as conchiolin to soothe the irritant. Another substance known as nacre is secreted over the conchilin. Layer after layer of nacre surrounds the irritant and eventually produces what we know as a pearl. Called the stone of heaven, jade is a hard stone that has been treasured by the Chinese for over 7,000 years. Jade actually comes from two different mineral species with similar appearance: nephrite and jadeite. Jadeite is a sodium aluminum silicate and has become the most popular form of jade. It comes in a variety of colors from the popular greens to orange, yellow, brown, blue, purple and black. On Mohs’ scale of hardness, jadeite is 6.5-7. It has a greasy luster and primary sources include Burma (Myanmar), China, Japan, Canada, Guatemala, Kazakhstan, Russia (Siberia), and California. Kunzite is a variety of the Spodumene family. It is known for a range of pink-violet to light-violet colors but has also been identified in canary yellow, colorless, brown and green-violet. On Mohs’ scale of hardness, kunzite is 6.5-7. It has a vitreous luster and its sources include Brazil (Minas Gerais), Afghanistan, Burma (Myanmar), Madagascar, Pakistan and the United States. Kyanite has a similar chemical composition to andalusite and fibrolite but it has a different crystal structure. It exhibits a range of colors including blue to colorless, blue-green and brown. On Mohs’ scale of hardness, kyanite is 4 – 4.5. It has a vitreous luster and primary sources includes Burma (Myanmar), Brazil, Kenya, Austria, Switzerland, Zimbabwe and the United States. Gemstones created in a lab with exact chemical properties of their natural counterparts are termed lab created. Also known as synthetic stones, these stones are usually significantly cheaper than natural stones. Labradorite is a gemstone in the feldspar family. It is known for a brilliant play of color and exhibits lustrous metallic tints of blue, green, yellow, red, gold and purple. On Mohs’ scale of hardness, labradorite is 6 – 6.5. It has a vitreous luster and primary sources include Canada (Labrador, Newfoundland), Australia (New South Wales), Madagascar, Mexico, Russia and the United States. Lapidary is the art and science of cutting, polishing and shaping precious gemstones. Lapis Lazuli is a complex composition of multiple minerals. It exhibits a range of beautiful blues from lazur blue to violet to greenish blue. On Mohs’ scale of hardness, lapis lazuli is 5-6. It has a vitreous and greasy luster and primary sources include Chile, Russia, Afghanistan, Angola, Burma (Myanmar), Canada, Pakistan, California and Colorado. A cord necklace with two open ends handing down in front, looped into a knot or secured by a slide. An earring closure for pierced ears that is secured by a hinged lever attached to the back of the earring. This necklace or bracelet clasp uses a hook similar to a hinged lobster claw to secure one end to a ring on the other end of the chain. The quality and quantity of light reflected by a stone’s surface. Luster can also refer to the unique glow that emanates from a pearl as a result of the microscopic crystals in the nacre of the pearl. A dome shaped pearl that is normally round or tear shaped but also comes in a variety of shapes and sizes. The mabe is assembled by placing a small half sphere object against the shell of an oyster. After the oyster coats this irritant with nacre, the new pearl is cut from the oyster. The flat side of this new pearl is hollow and filled with epoxy and then covered with mother of pearl. Mobe pearls are a great way to get a large pearl for a lower price, but they are fragile and require special care. A cross made up of four arrowheads facing one another with their points meeting in the center. Mantle tissue is the soft tissue found in an oyster and is the medium for the cells that start the production of conchiolin and nacre. In cultured pearls, a round bead is inserted into the oyster with a piece of mantle tissue. In the unique irregular shaped freshwater cultured pearls, mantle tissue alone is implanted into the oyster. These are known as “tissue graft” or “non-nucleated” cultured pearls. Marcasite jewelry is actually pyrite. The minerals marcasite and pyrite are similar in composition but they crystallize differently. True marcasite is unsuitable for jewelry. The confusion between the two dates back several hundreds years due to the confusion between pyrite and marcasite based on their similarities. Marcasite jewelry (pyrite) is a popular style that became fashionable during Queen Victoria’s reign. Marcasite jewelry normally uses pyrites cut and polished in circular outline and mounted in a rhodium-plated silver setting. A chain made of oval links that have a bar across the center. Named after Marquise de Pompadour, Mistress of King Louis XV, the marquise shape is oval with points on both ends. Two matching gemstones perfect for use in earrings. Created with a special engraving tool, a millgrain edge is a raised design along the edge of the jewelry. Most gemstones are actually mineral crystals (except for non-mineral gems like pearls, coral and amber). Mineral crystals form through a naturally occurring combination of chemicals, heat and/or pressure. These chemicals affect shapes and color of the crystals. Most mineral crystals are tiny, but a few can be cut into gemstones of rare beauty. Because these numbers are based on actual stones, they are not equally distributed, so, for example, the difference between 10 (diamond) and 9 (sapphire) is greater than the difference between any other set of numbers. Softer stones scratch more easily and some stones are simply too soft for jewelry. 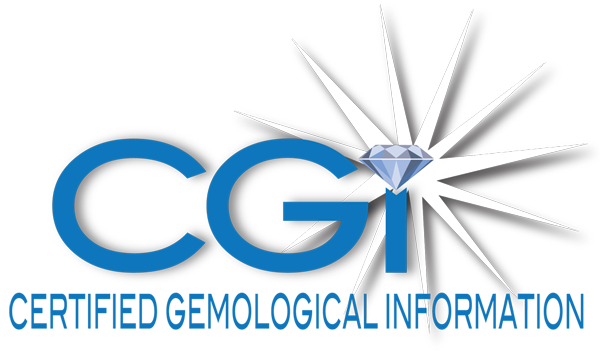 See our Gemstone Enhancements and Treatments chart for a comprehensive list of stones including their Mohs’ hardness. Note: hardness is not the only determination for durability, also see cleavage. Moissanite is a lab-created stone based on the structure of natural moissanite, which is linked to meteorites. On Mohs’ scale of hardness, moissanite is 95. It has more brilliance, fire and luster than any hard jewel on earth, including diamond. Moldavite is part of the tekite group. It exhibits a bottle-green to brown-green color. On Mohs’ scale of hardness, moldavite is 5.5. It has a vitreous luster and primary sources include Australia (Australite), Borneo (Billitonite), Georgia, United States (Georgiaite), Indochina (Inchinite), Java (Javaite), and the Philippines (Philippinite). A mollusk is an animal with a soft body and an external skeleton or shell. The shell protects and supports this fragile animal. There are over 100,000 species of mollusks on the planet, but only a few produce the wondrous beauty of pearls. Moonstone is a gemstone in the Feldspar family. It exhibits a range of colors including yellow, a pale silver sheen, a blue and even pink. On Mohs’ scale of hardness, moonstone is 6-6.5. It has a vitreous luster and primary sources include Sri Lanka, Burma (Myanmar), Brazil, India, Madagascar and the United States. Morganite is a gemstone in the Beryl family. It exhibits a range of colors from soft pink to violet to salmon. On Mohs’ scale of hardness, morganite is 7.5-8. It has a vitreous luster and primary sources include Afghanistan, Brazil, China, Madagascar, Mozambique, Namibia, Zimbabwe and the United States (California, Utah). “Mother of pearl” is the pearl lining of an oyster. Only mollusks that have this lining can produce pearls. This lining is also used as inlay in jewelry and other ornamental items. A piece of jewelry designed to hold a gem. Nacre is a silky substance secreted over a forming pearl. Layer after layer of nacre build up to form what we call a pearl. When light touches the pearl, it travels through all the layers of nacre, and each tiny crystal reflects the light like miniature prisms. The end result? A lustrous, breathtaking pearl. The original jade treasured by the Chinese culture, nephrite is a calcium magnesium silicate and comes in a range of colors from white to green. The composition of nephrite is fibrous, making it one of the “toughest” materials on earth. A nucleus is the implant (the bead or mantle tissue) inserted into a mussel to create a cultured pearl. A lump of unshaped precious metal. Oiling infuses colorless oils, resins and waxes into tiny surface-breaking fissures to hide them and give gems a clean-complexioned appearance. This long-practiced clarity enhancement is used mainly for emerald and jade. The oils used are either natural or have a natural counterpart. If coloring agents are added to the oil, the stones are classified as dyed. Emeralds infused with man-made substances like plastics and polymers that have no natural counterpart are considered impregnated. For a list of stone treatments, frequency and stability of treatments, and care instructions, visit our Gemstone Enhancements and Treatments chart. An earring closure for pierced ears that is secured by a hinged lever attached to the back of the earrings. Similar to lever back earrings, omega back earrings end in an O shape that secures over a post instead of a clutch. Treasured for its sleek sophistication, an omega chain is worn high on the neck and made up of tightly interlocking links that form a flat solid surface. Opal is a unique gemstone with a beautiful play-of-color display. It exhibits all colors and both light and dark base colors reflect a rainbow-like display of multiple colors when viewed from different angles. On Mohs’ scale of hardness, opal is 5.5-6.5. Primary sources include Australia, Brazil, Guatemala, Honduras, Indonesia, Japan, Mexico, Russia, Nevada and Idaho. Similar to filigree, this ring setting is designed to allow viewing of the bottom of the gemstone. Ideal for formal engagements, this necklace style drapes elegantly at 28 to 34 inches long. Sometimes it is also doubled and worn as a shorter necklace. One fundamental characteristic of gemstones is the way they interact with the light. “Optical properties” refers to this trait and include color, dispersion and fluorescence. While most gemstones are minerals with an inner structure that result in crystal forms, a few gemstones known as organic gemstones (such as amber and pearl) are primarily non-mineral, being formed by plants and animals. This popular cut is oblong and faceted with rounded edges. There are two techniques of physically joining two materials together: one is inlay and the other is overlay (or encrustation). Overlay unites one surface onto another surface chemically through an additional substance such as soldering when joining metal to metal or an adhesive/cement when joining metal to nonmetal (such as gemstones or shell). Tarnishing is the natural process of discoloration that occurs in some metals due to environmental conditions. When this change is induced by choice to create a special effect in the metal, it is known as oxidation. This unique setting looks as if the piece is literally paved with stones. Resembling a pear or teardrop, this fancy cut is rounded on one end and pointed on the other. A pearl is a lustrous, organic gem produced by saltwater oysters, freshwater mussels and occasionally by some shellfish. It exhibits a range of colors from white to pink, silver, cream, peach, gold, green, blue and black. Oh Mohs’ scale of hardness, pearl is 2.5 – 4.5. Primary sources of Sea Pearls include Persian Gulf; Gulf of Manaar; along the coasts of Madagascar, Burma (Myanmar), and the Philippines; many islands in the South Pacific, northern Australia; and the coastal lines of Central and northern South America; and some small beds in Japan. Primary sources of freshwater Pearls include United States, some in Europe (restricted in Central Europe). Peridot is a gemstone in the Olivine mineral family. It exhibits a range of vibrant greens from yellow-green to olive green to brownish green. On the Mohs’ scale of hardness, peridot is 6.5-7. It displays a vitreous and oily luster and the primary sources include Burma (Myanmar), Australia (Queensland), Brazil (Minas Gerais), China, Kenya, Mexico, Pakistan, Sri Lanka, South Africa, Tanzania, and Arizona. Petalite is primarily a gemstone for collectors. It is often colorless but there are also examples of pink and yellow varieties. On the Mohs’ scale of hardness, petalite is 6-6.5. It has a vitreous luster and sources include Western Australia, Brazil (Minas Gerais), Italy (Elba), Namibia, Sweden, Zimbabwe, and the United States. This dull silver-colored alloy is made from tin, antimony and copper. Gems that display unusual optical properties such as color change gems. Opal displays a burst of striking colors known as play of color. As the stone is moved, the appearance changes and a different display of rainbow-like colors can be seen from different angles. This play-of-color is caused by the diffraction of light hitting the stone. In the 1960s, intensive microscopes magnifying between 20,000x and 40,000x revealed that tiny silica spheres (150 to 300 nanometers) with water interspersed make up opals. The shape, size, and alignment of these spheres affect the color of the opal. While rubies come in a variety of red tones, the most valued color is pure red with a hint of blue, known as “pigeon’s blood” red. Thirty-five times rarer than gold, platinum is a treasured and highly sought after precious metal. Platinum is 95% pure, reflecting a brilliant white luster that does not fade or tarnish. Its purity also makes it hypoallergenic and perfect for sensitive skin. With a higher density than most metals, platinum is more durable and less likely to wear away over time. Plus, it is highly pliable and can be shaped into many intricate patterns not possible with other metals. Karat gold with the exact amount of stated gold content. Gemstone unit weight equal to one-hundredth of a carat. Finishing diamonds is the art and science of a lapidary. For cutting and polishing, the diamond is mounted and pressed into a rotating grinding wheel coated with diamond powder and oil. Polishing diamonds requires constant inspection to make sure all the facets are symmetrical and uniform. While cutting and polishing a diamond incorporates mathematical formulas, the art of cutting and polishing gemstones is more dependent on experience and experimentation of the lapidary. Once the stone is sawed and ground into the desired shape, it must be sanded to remove rough marks and then it is polished with a variety of agents. Depending on the stone hardness and the type of facets, the gemcutter will combine a variety of polishing agents and polishing surfaces to finish the stone into brilliant shine. In the art of crafting metals into jewelry, the last step involves refining the surface to a beautiful bright finish. This process includes both polishing and buffing. Polishing involves a multi-step process of hand polishing and/or machine polishing. This phase eliminates all flaws from the surface of the metal. This may take several stages of polishing using multiple abrasives, tools and techniques. Buffing utilizes much finer abrasives and removes very little, if any, metal. This step brings the metal to a final finish with a varying degree of brightness depending on the tastes of the jeweler. Perfect for every occasion, this necklace style ranges from 17 to 19 inches and looks great on high and low necklines. Proportion is the property of the relationships between the angles and measurements on a polished gem. Natural pyrite has a brassy appearance and it sometimes confused for gold. It has little or no gold content and is often called “fool’s gold.” Used by jewelers for thousands of years, pyrite has been found in ancient Greek jewelry and the tombs of Incas. Marcasite jewelry is actually pyrite. Pyrope is a variety of garnet. It usually exhibits a blood-red color but can also be tinged with yellow or purple. On Mohs’ scale of hardness, pyrope is 7-7.5. It has a vitreous luster and primary sources include Burma (Myanmar), China, Madagascar, Sri Lanka, South Africa, Tanzania, and the United States. Quartz is one of the most common gem families and can be found all around the world. Quartz comprises several different groups of gems from crystalline quartz (crystals viewable by the naked eye) and crypto-crystalline (microscopic crystals). Crystalline quartz includes amethyst, aventurine, rock crystal, blue quartz, citrine, hawk’s eye, prasiolite, quartz cat’s eye, smoky quartz, rose quartz, and tiger’s eye. Crypto-crystalline quartz is also known as chalcedony and includes agate, bloodstone, carnelian, chyrsoprase, jasper, moss agate, onyx and sard. Quartz movement is a very accurate method of movement powered by the vibrations of tiny quartz crystals. The radiant cut sparkles with precisely 70 facets, just like a brilliant cut stone, but it is shaped like an emerald cut stone. The amount a beam of light bends as it enters a gemstone and then strikes a subsequent surface(s). The amount of refraction depends on the structure of the stone. A member of the platinum group, rhodium is a shiny white metal that is highly reflective, durable, and expensive. It is often used as a hardening agent for platinum. In jewelry, it is plated on other metals to increase luster and eliminate tarnishing. Rhodolite is a variety of garnet. An intermediate stone between pyrope and almandine garnets, rhodolite exhibits a lovely rhododendron red color with a lively luster. On Mohs’ scale of hardness, rhodolite is 7-7.5. It has a vitreous luster and primary sources include Burma (Myanmar), China, Madagascar, Sri Lanka, South Africa, Tanzania, and the United States. This ornamental stone is translucent to opaque with a rose red color. It often resembles pink marble veined with black. A ribbed design element is simply a ridged texture. A ring guard is a ring placed above another ring to keep it from slipping off. This unit of measure is used to indicate the ring diameter necessary to properly fit a person’s finger. Sleek and alluring, the Rivière is a long necklace style covered with a single strand of gemstones, usually diamonds. A colorless water-clear form of quartz, rock crystal was believed by some ancient Greeks to be ice that had hardened over time into stone. This is a chain with thick ring/oval links. This luxurious and sensual, 37” and above necklace style cascades down for a dramatic display of beauty. Rose finish gives the jewelry a rose gold appearance but with no actual gold content. Revealing a distinctive pink hue, this alloy contains gold mixed with copper. Rubellite is a gemstone variety of the Tourmaline group. Valued for its ruby color, it exhibits a range of color from pink to red, sometimes with a violet tint. On Mohs’ scale of hardness, rubellite is 7-7.5. It has a vitreous luster on crystal surfaces and a greasy luster on fractures. Sources include Brazil (Minas Gerais, Paraida), Afghanistan, Australia, Burma (Myanmar), India, Madagascar, Malawi, Mozambique, Namibia, Nepal, Nigeria, Pakistan, Russia, Zambia, Zimbabwe, Sri Lanka, Tanzania, the United States (California, Maine), Zaire, Elba (Italy) and Switzerland (Tessin). Quartz containing needle-like inclusions of rutile rods is known as rutilated quartz. Used on a clasp, this catch prevents the clasp from becoming undone or from extending beyond the edge of the brooch. Sapphire is a gemstone in the Corundum family. Known for its beautiful “cornflower blue” color, sapphire also comes in a wide range of colors. On Mohs’ scale of hardness, ruby is 9. It has a strong luster like diamonds and sources include Australia, Burma (Myanmar), Sri Lanka, Thailand, Montana, Brazil, Cambodia, China, Kenya, Madagascar, Malawi, Nigeria, Pakistan, Rwanda, Tanzania, Vietnam and Zimbabwe. Scapolite is a distinctly fibrous gemstone. It is usually found in white, yellow, pink and violet hues. On Mohs’ scale of hardness, scapolite is 5-5.6. It has a vitreous luster and sources include Burma (Myanmar), Brazil, Canada, Madagascar and Tanzania. Perfect for setting your own stone, a semi-mount is a piece of jewelry that has already been partially finished with gemstones and/or engraving with the exception of the center stone. Two sets of small, flat “s” links tightly bound to one another. Shell is originally the external skeleton for many shellfish but it also makes an appealing ornament in jewelry. Side stones are set around or beside the center stone. A style or design element common to all the pieces of a particular designer. Also known as a seal ring, the signet ring traditionally bears the crest or some other family insignia on the table of the ring. A versatile metal, silver is used in multiple applications including jewelry. It is found in ore and is often associated with other metals. Second only to gold, silver is valued for its malleability and ductility as well as its high luster. Pure silver is often too soft for use in jewelry so it is often used with other alloys. The practice of simulating costly and precious objects with inexpensive substitutes has been traced back over 6,000 years ago in ancient Egypt. This practice continues today in simulating precious gemstones. This uniquely designed chain is composed of flat diamond shaped links that are interwoven, creating a stunning appearance. This precursor to the modern brilliant cut emerged in the mid 1600s. Moving closer to a rounded shape, the cut consists of 8 facets surrounding the table and 8 facets below the girdle. It has a total of 18 facets. The single cut is often found on side stones or smaller stones. This is a bracelet consisting of two strands that are connected to a main clasp. The bracelet is designed so that strands are threaded through slide charms. Each slide charm has horizontal holes through which the strands of the bracelet are threaded. The antique style of slide bracelet contains more of a gold look incorporating the use of precious and semi-precious stones. The contemporary style of slide bracelet is based more upon lettering and personalization of the charms. Inclusions in gemstones that can be seen by the unaided eye. Smoky Quartz is a variety of the Quartz family. It exhibits brown to black and smoky gray colors. On Mohs’ scale of hardness, smoky quartz is 7. Sources include Brazil, Madagascar, Russia, Scotland, Switzerland and the Ukraine. The hinged bar on a lever back or omega back earrings. A component of Lapis Lazuli, ornamental sodalite has a rich blue color and is sometimes mistaken for lapis. Often found in rings or pendants, a solitaire focuses attention on a single stone in a simple setting. Sometimes referred as the “queen” of cultured pearls, South Sea pearls are unusually large regal pearls primarily from Australia, Indonesia and the Philippines. Reflecting light from many different points. Spessartite is a variety of garnet. The color ranges from a yellowish-orange to an intense aurora red to a deep-orangey color. On Mohs’ scale of hardness, spessartite is 7-7.5. It has a vitreous luster and primary sources include Burma (Myanmar), China, Madagascar, Sri Lanka, South Africa, Tanzania, and the United States. Sphene is a brilliant transparent gemstone. It exhibits a range of colors from yellow to brown to green and even reddish. On Mohs’ scale of hardness, sphene is 5-5.5. It has an adamantine luster and sources include Burma (Myanmar), Brazil, Mexico, Austria, Sri Lanka and the United States. Spinel is the classification of a large group of related minerals that has a small group of gemstone quality stones. Spinel exhibits a wide range of colors including red, pink, orange, yellow, brown, blue, violet, purple, green and black. On Mohs’ scale of hardness, spinel is 8. Sources include Burma (Myanmar), Cambodia, Sri Lanka, Afghanistan, Australia, Brazil, Madagascar, Nepal, Nigeria, Tadzhikistan, Tanzania, Thailand and the United States (New Jersey). A common clasp, the spring ring sits on one end of chain. It is a circle with a small spring tension knob that can open a gap in the circle, allowing the circle to hook onto the other end of the chain. A setting with four prongs that hold a stone. Rings designed to be stacked in multiples on one finger. An iron based steel alloy, stainless steel normally contains less than 20% chromium. While it is hard to work with, stainless steel is extremely durable: it resists corrosion and can hold a long-lasting polish. In the creation of some jewelry pieces, the metal will be cut or embossed with a die or punch. This is known as stamping. Star Sapphires exhibit a natural asterism and must be cut cabochon in order to display this unique effect. Also known as a trap cut, the step cut has a large facet surrounded by rectangular facets. Smaller step cut stones are often used as accents and are called baguettes. A silver alloy consisting of .925 parts pure silver and .725 parts pure copper, sterling silver is often used for jewelry and flatware. Named after the British currency known as “sterling,” sterling silver was once the standard for currency prior to 1920. A series of dots or short lines created by a pointed graver is known as a stippled finish. On a straight bar closure, a hinged bar slips into a catch, securing a pin. In classic simplicity, this earring has a ball or stone attached to a straight post with no dangling parts. Sunstone, also known as aventurine feldspar, is a gemstone in the Feldspar group. It normally has a rich golden or reddish-brown color with sparkling red and brown (and sometimes green or blue) inclusions. On Mohs’ scale of hardness, it is 6-6.5. Sources include India, Canada, Madagascar, Norway, Russia (Siberia), and the United States. Imperfections on the surface of a pearl are known as surface markings. Symmetry refers to the alignment of facets on the surface of the stone. There are three indicators of symmetry on a gemstone: the alignment of facets with one another, from side to side, and from top to bottom. Proper alignment will affect the reflection and refraction of light through the stone, thus affecting its overall beauty. Synthetic refers to a man-made material with a natural counterpart. The synthetic crystal replicates the chemical and physical properties of the natural crystal with little or no variation. Normally the largest surface on a gemstone, the table is located on the crown (or top) of a faceted stone. The table may take many geometric forms, dependent on the shape and style of fashioning. On a round brilliant-cut diamond, for example, the table forms an octagon. However, certain styles of cutting, such as checkerboards, buff tops, or roll tops, do not have a table. The table percentage of a diamond represents the ratio of table width to overall stone width. Like depth percentage, the luster of the stone is directly affected by table percentage. A beautiful stone will normally have a table percentage ranging from 53 to 64 percent. In jewelry, a tassel refers to decorative group of short metal threads bound together at one end and hung from a necklace. A tennis bracelet is flexible and made up of matched stones or alternating matched stones. Tennis style indicates evenly matched or alternating matched stones. A three stone ring is a ring setting with three stones of the same shape and the center stone is usually larger than the other two. Sometimes this symbolizes the past, present and future of a relationship. A stylish way to keep a tie in place, the tie tack has a stone or ornamental on the face connected to a short straight pin that attaches the tie to the shirt. Tiger’s eye refers to a golden-brown quartz cabochon that reflects the floating play of light phenomena known as chatoyancy and asterism; thus, making the stone’s appearance similar to a tiger’s eye. Titanium is a metal with an extremely high melting point and is part of group of other metals with high melting points known as refractory metals. Under controlled conditions, titanium is highly reactive and can be permanently colored for various decorative applications. Often worn on one or more toes, toe rings are designed to slip easily on and off the toe. The toggle clasp is a simple closure consisting of a ring on one end of a chain and a small bar on the other. The bar slides through the ring and then sits across, holding the two ends of the chain together. Tone is one of four characteristics used to describe the appearance of color. Tone refers to the lightness or value of the lightness in a particular stone. Topaz is a gemstone found in vivid colors. Exhibiting a wide range of colors, it appears as yellow, orange, red-brown, light to dark blue, pink-red, red, violet, light green, colorless and in unusual colors such as mystic, ocean, glacier, patriot, canary, champagne, orchid, dawn, teal and kiwi. On Mohs’ scale of hardness, it is 8. Topaz has a vitreous luster and sources include Brazil (Minas Gerais), Afghanistan, Australia, Burma (Myanmar), China, Japan, Madagascar, Mexico, Namibia, Nigeria, Pakistan, Russia (Urals, Transbaikalia), Zimbabwe, Sri Lanka and the United States. Tourmaline is a fascinating mineral that can actually exhibit two or more colors in one crystal. It possesses one of the widest color ranges, reproducing every conceivable color in the universe. On Mohs’ scale of hardness, tourmaline is 7.5. It is vitreous on crystal surfaces and greasy on fractures. Sources include Brazil (Minas Gerais, Paraida), Afghanistan, Australia, Burma (Myanmar), India, Madagascar, Malawi, Mozambique, Namibia, Nepal, Nigeria, Pakistan, Russia, Zambia, Zimbabwe, Sri Lanka, Tanzania, the United States (California, Maine), Zaire, Elba (Italy) and Switzerland (Tessin). A “trillion cut” is a variation of the brilliant cut triangular stone with 44 facets. Assembled opals combine natural opal with other materials. A doublet contains a slice of opal glued to common opal, glass or other material. A triplet contains a slice of opal glued between a base and a crystal or a glass top. Triplets are usually less expensive than doublets, and both are less expensive than natural opals. Triplets are great for ring stones as they have the protective coating over the opal. Tsavorite is a gemstone within the Garnet family. It exhibits a green to emerald green color. On Mohs’ scale of hardness, tsavorite is 7-7.5. It has a vitreous luster and sources include Kenya and Tanzania. Turquoise is a translucent to opaque gemstone. It exhibits a range of blue and green colors from sky-blue to blue-green to apple-green. On Mohs’ scale of hardness, turquoise is 5-6. Sources include Iran (near Nishapur), Afghanistan, Argentina, Australia, Brazil, China, Israel, Mexico, Tanzania, and the United States. Real gold that is chemically bonded to sterling silver. The finish looks great but the price is substantially lower. Vitreous refers to a glass-like luster on a stone. The en vogue color of the younger generation, white gold uses silver-colored alloys (silver, zinc or nickel) to decrease the yellow tint of gold. To intensify the white luster and eliminate the slight yellow tint, white gold is sometimes plated with rhodium or platinum. Forming a dangling y-shape around the neck, the Y-necklace style is usually 16 to 18 inches long.